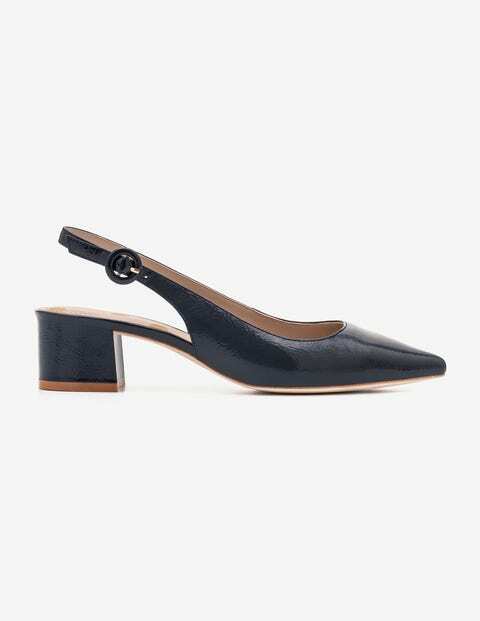 We’re slinging it back to the '60s with our ultra-feminine (and oh-so versatile) pointed-toe shoes. In fact, there's vintage-inspired details everywhere – think retro round buckle and shiny patent or fun pony finishes. The low block heel keeps you steady while offering a little boost, and did we mention the spotty padded insoles?